I'm a multi disciplinary designer who is obsessed with aesthetics... I appreciate art, design, colour, form and function in every format! Every project has a unique identity but there are always 2 primary objectives; the overarching goal for the owner and the day to day functional requirements for the space. I work with your taste and preferences to create an ideal environment that resonates with the people that use the space. The interior design process is more than creative execution, it involves complex project management of all tradespeople onsite and product selection based on aesthetics, appropriateness, durability and environmental impact. Over the years I've worked with all types of tradies... builders, shop fitters, cabinet makers, painters, electricians, fabricators and artists. During fit out it's essential to think on your feet. I'm not scared to ask questions or put out fires to ensure the project is running on schedule! Give your space an overhaul! Phone: 045 777 111 8 or email me. the vibe of a room. You don’t have to undergo a full renovation to change the feel of a room... even with a small investment you can create a huge impact. It could be something ever so simple.... or tricky. Get in touch and invite me onsite for a free consultation! I've always loved treasure hunting. Objects don't have to have a financial value to be beautiful. Re-purposing & restoration opens up amazing storytelling by the people that inhabit the space. 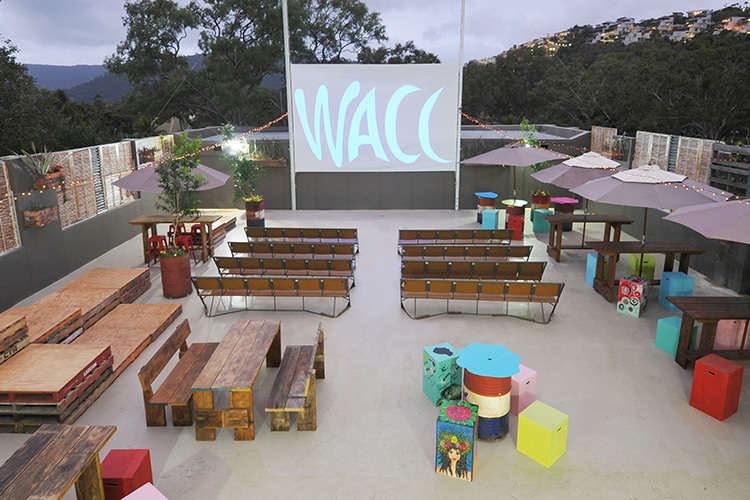 For samples of my favourite re-purposing projects check out Fat Frog Beach Cafe and The WACC galleries. As a commercial graphic designer I love laser cutting... creating custom illustrative works that are executed into large scale sculptural art forms out of all sorts of substrates! For samples of my laser work check out my lifestyle and commercial galleries.